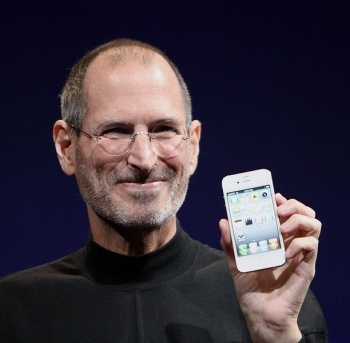 According to industry professionals, Steve Jobs and the iPhone had a bigger impact on videogames than Nintendo, Microsoft, and Sony combined. According to a survey distributed to 1,000 videogame industry professionals, the iPhone has shaped videogames more than any other device or console, and Steve Jobs has shaped videogames more than any other human. The questionnaire was sent out to industry attendees of the London Games Conference, and asked participants to make a top five list of various professionals and hardware. Based on the answers received, the LGS ranked them according to the number of mentions. At first glance, this list seems a bit unfair. No one is denying that Steve Jobs was important to the tech community, but is he worthy being heralded as a videogame giant, more so than the creator of Steam or the Mario franchise? And what the heck is Zuckerberg doing on this thing at all? I guess the thing to remember is that this isn't a list of the "best" or "top-selling," it's a list of who and what shaped the industry. That being said, there's no denying that the invention of the Apple app store has radically changed the way we think about games, pricing, availability, and portability. Still, Jobs' death is fresh on everyone's mind lately, just sayin'.